S W O O N D: light! color! spring! 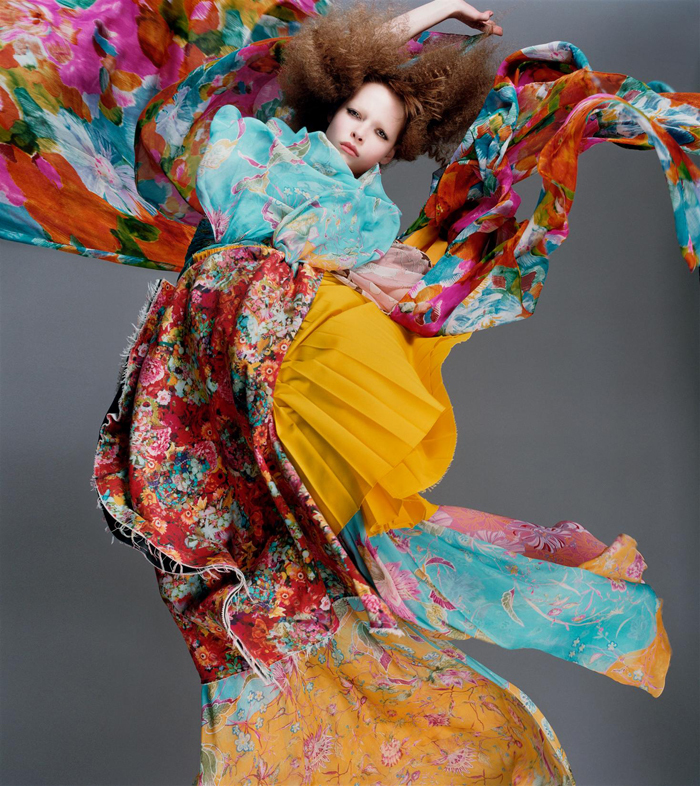 As we tiptoed through the legion of vari-hued tulips in Central Park over the weekend, I thought of these wondrously vibrant images by photographer Sølve Sundsbø. We had just taken in the Met's Bonnard exhibit for the third and final time (it closed Sunday); there, too, I was rejuvenated by the luminous yellow, turquoise, vermillion and fuschia palette. This Sundsbø-Bonnard color connection is a thing of beauty in itself. Amazing colours - and yes, so spring-like! Gorgeous. The woman in the top image is exactly like a giant orchid. 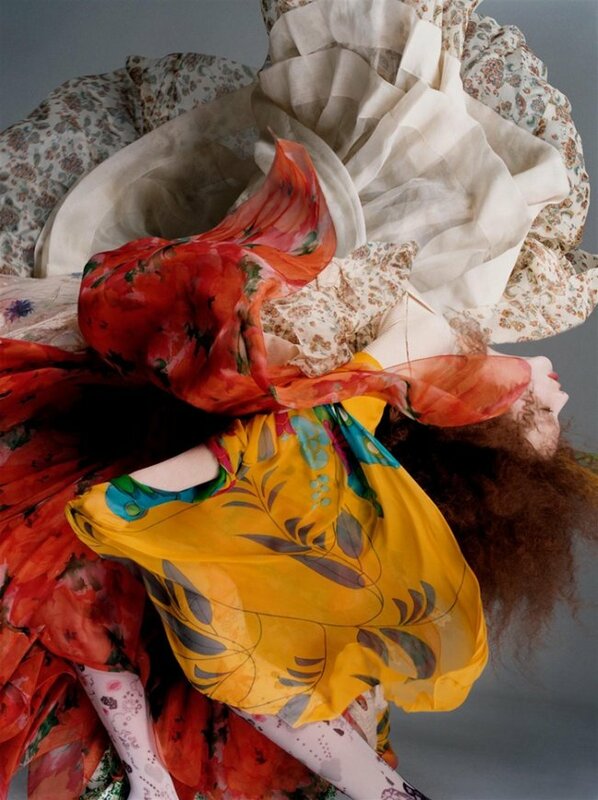 The photographs are amazing, what verve and movement! These beautiful images lift my heart and my spirit celebrates the arrival of spring. Whenever I need a visual and/or spiritual pick-me-up I visit your wonderful thoughtful blog. Ahhh! Genius. I love it too. Oh, how utterly lovely. Thanks so much for this, Diana — and lucky you, seeing the Bonnard show! It must have been wonderful. So colorful, lively, and cheerful. I love the mix. Thank you so very much. Until about 10 years ago, many of us caught hell from "serious" art critics when we'd buy a Bonnard book, pay a special visit to some paintings in permanent collections, even bring him up. These critics had declared Bonnard out of favor. 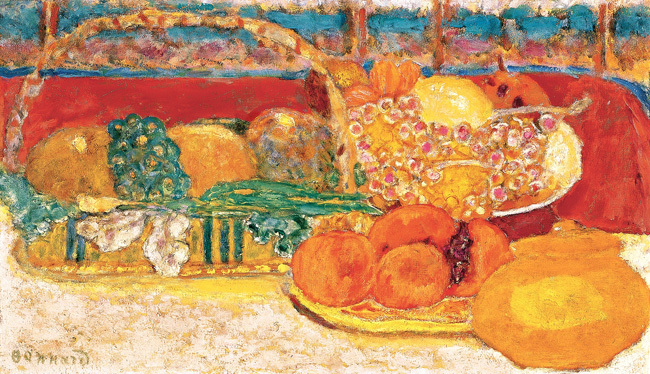 One trustee at the Phillips said that he was "embarrassed" by Bonnard. So many years ago that I can't remember how that came up in conversation but I nearly spat. (I did not but he his burnt forever in my mind as a jackass). Last 5 years or so, all falling over themselves to "redeem" Bonnard. Like he needed them. Sorry to be a pill but I'm just so glad that the tide has turned. I hope forever. This post was EYE HEAVEN! So beautiful bold and bright! GREAT post! These photos are so so so pretty...and I love Sonia Rykiel, too! Amazing is right and your tulips in Central park sound lovely. I miss NY.